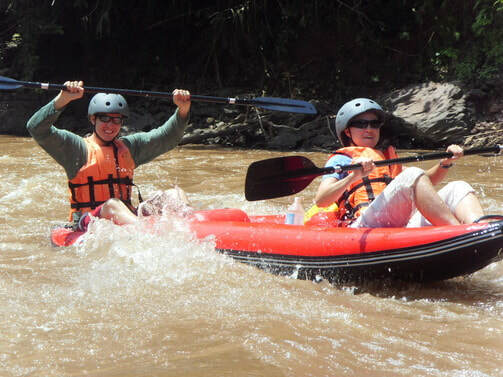 Kayaking or Rafting for 1 day on the Namtha river through the Namha National Park - Trekking in Luang Namtha, Laos - Hiking, Kayaking, Cycling, Village Tours - Discovering Laos! 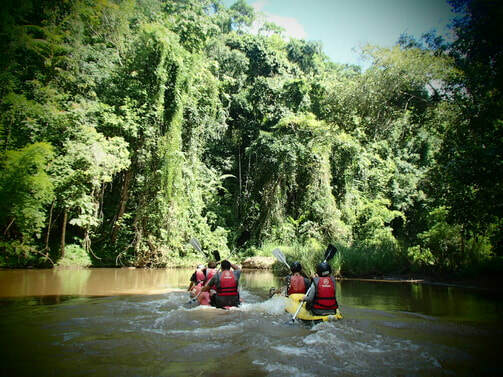 Great for daring water warriors short on time but require the full water experience on the unbridled Namtha river! 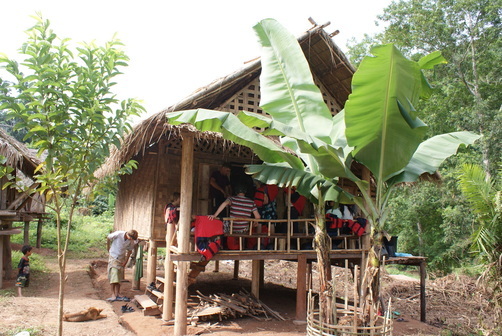 We meet at the Discovering Laos office for 9:00am. From there a short tuk-tuk ride takes us to the start of the kayaking adventure. After a brief tutorial on kayaking techniques and safety we start paddling on the impressive Namtha river, the largest and most important of Luang Namtha province. Following 2 hours of blissful paddling through jaw-dropping scenery and thrilling rapids we stop off at Sop Tud village of the Lantan people, taking time to meet the locals and learn about their culture. Having conquered a cascade of exciting rapids we find a perfect tranquil location on the riverbank for a delicious Lao picnic lunch. Back on the river dramatic scenery unfolds as the current carries us through a stretch of calmer waters. Further downriver we pass quaint Khmu villages, where we can stop for a rest and the chance of an introduction to the local people and their unique culture. 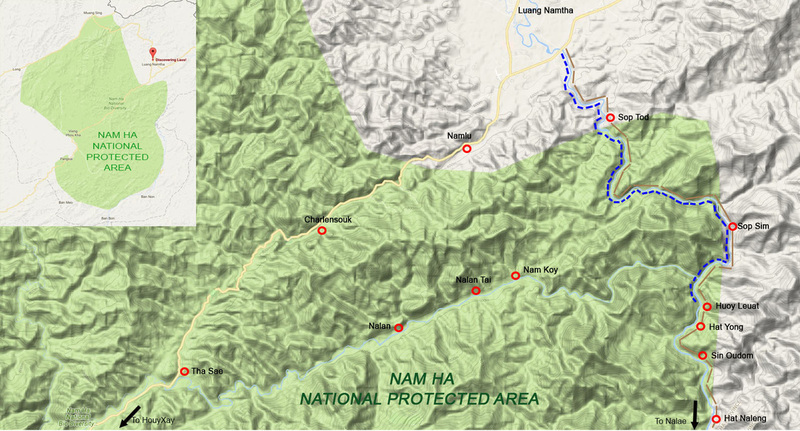 The final stage on our river adventure includes yet more exciting rapids and stunning scenery until, at last, we reach the Khmu village of Houy Leuat. Our tuk-tuk driver awaits our arrival for the transfer back to the Discovering Laos office but not before an exploration of the village! 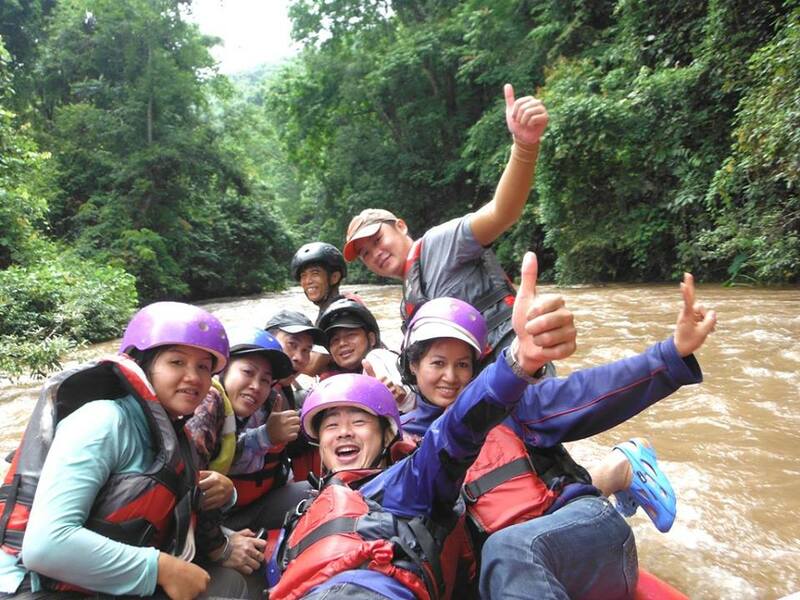 The price ranges from $28/person (USD) for 8+ Pax to $104/person (USD) for 1 Pax.